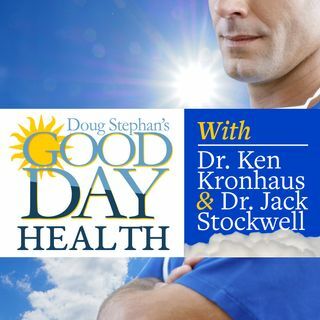 02/21/19 - Dr. Ken Kronhaus - Will Young Blood Infusions Be In Your Future? Host Doug Stephan and Dr. Ken Kronhaus discuss a new study that reveals that younger women are now suffering from a greater number of Heart Attacks, due to Obesity. Next, Doug demonstrates how Push-Ups are good for the health in Middle Age Men. Then, news that Increased use of Diet Sodas fosters the risk of stroke in Post-Menopausal Women. Florida Governor has proposed a bill, making it legal to import Prescription Drugs from Canada. President Trump says that he will approve it, but ... See More there's a catch. Have you heard about Young Blood Infusions? Dr. Ken explains. Johnson & Johnson is in trouble over ingredients in Baby Powder. Plus, lots more information about maintaining your Good Health.